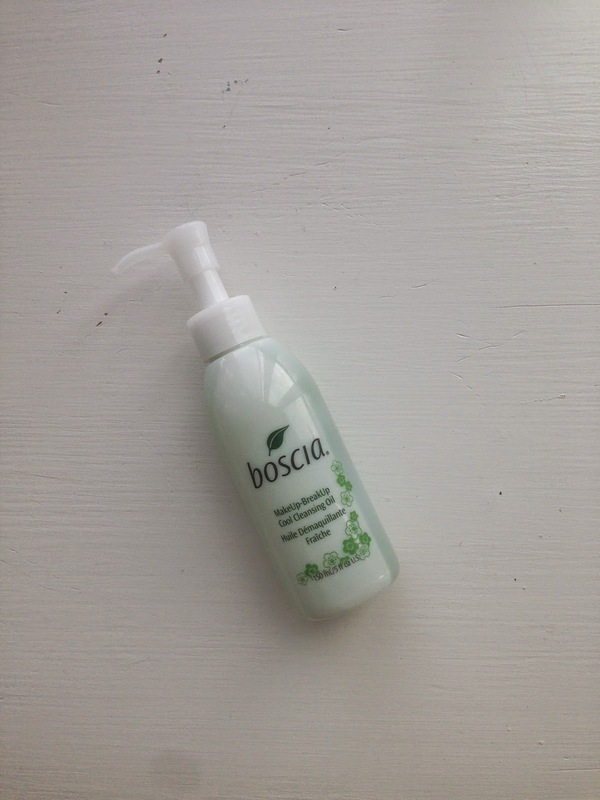 As promised, I have a review of the Boscia Make-Up Break-Up Cool Cleansing Oil today! I left the Nikon 1 at my house, so I had to snap some pictures with my phone. They didn't come out that bad though. Anyways, I really do love this oil. It has seriously made such an improvement to my skin over the short amount of time that I've used it. Every night, with a full face of make-up, I put on a headband to make none of the oil gets into my hair, and just start wetting my face with luke warm water. After my face is wet, and my mascara and eyeliner have started to run, I pump exactly three squirts of the oil into the palm of my hand. I use this many pumps because I will sometimes have a large amount of make-up on due to work, or an occasion that I'm attending. If I only have some face product and mascara on, then I will use 1.5 to 2 pumps. After the oil is in my hand, I will gently start smoothing it onto my face and rubbing it in with circular motions. I rub all over my face, including my eyes. It foams pretty quickly and I like that because you can see what you are actually cleansing on your face, instead of guessing when the product doesn't foam. After my face is covered in black due to my eye make-up, I rinse with luke warm water again, and pat dry with a towel. I usually massage the oil onto my face for a good one to two minutes. After I pat dry, I will go in with a cotton pad or cotton ball and remove the access eye make-up that the rinse didn't remove. This oil is great for removing all make-up but it doesn't get absolutely everything. I have to use the cotton pad to remove whatever mascara or eyeliner there is left on my face. Overall, I love this product. 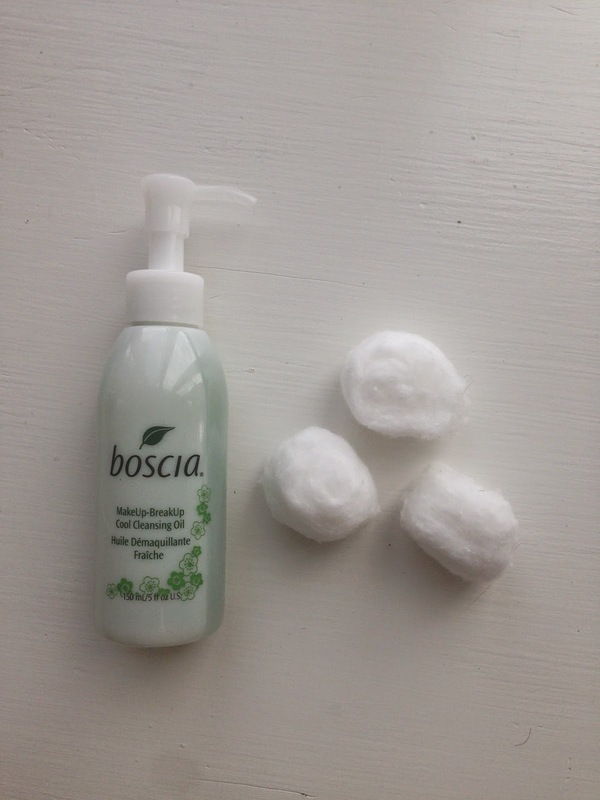 It is a great alternative to make-up wipes or just washing your face with a cleanser. It really does improve the quality and feel of your skin as well. My skin is baby soft now that I've started using this oil. I feel like it's really cleaned out my skin and my pores as well. It comes in a five ounce bottle which is plenty of product for how little you have to use. A deep-cleansing blend of botanical oils that dissolves makeup and impurities while refreshing congested skin. Discover this decidedly different and extremely gentle way to thoroughly purify your complexion. This preservative-free solution effectively breaks up all makeup, dissolves impurities, and washes away all residue. 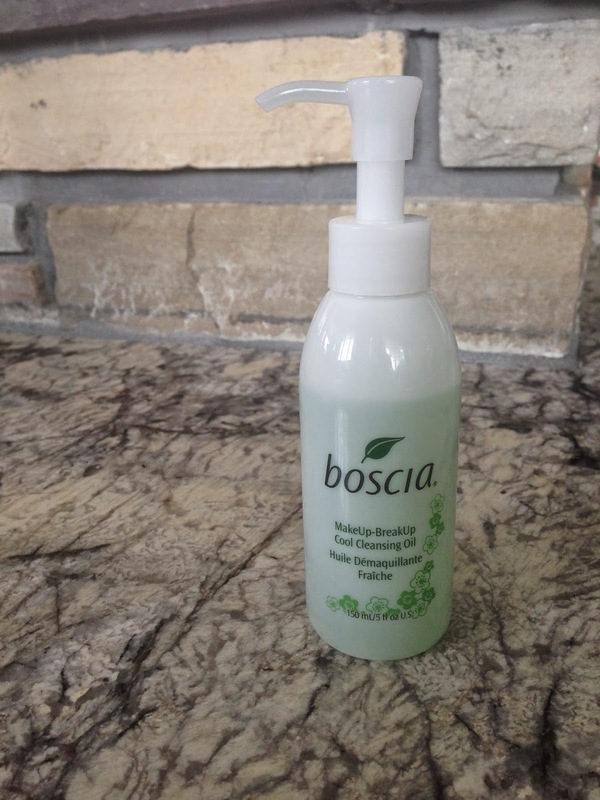 -Dispense one to two pumps onto fingertips and gently massage onto dry skin in a circular motion for 30 to 60 seconds. -To further emulsify makeup, add a small amount of warm water and continue to massage on the face to breakdown makeup and impurities. -Rinse well with warm water and blot dry. -For maximum cleansing, smoothing, and softening benefits, use with the Konjac Cleansing Sponge. Cetyl Ethylhexanoate, Polyglyceryl-10 Diisostearate, Polyglyceryl-20 Hexacaprylate, Glyceryl Behenate/Eicosadioate, Epilobium Angustifolium Flower/Leaf/Stem Extract, Simmondsia Chinensis (Jojoba) Leaf Extract, Eucalyptus Globulus Leaf Oil, Dextrin Palmitate, Menthol, Rosa Canina Fruit Oil, Simmondsia Chinensis (Jojoba) Seed Oil, Elaeis Guineensis (Palm) Oil, Caprylic/Capric Triglyceride, Copper Chlorophyll, Water/Aqua/Eau, Camellia Sinensis Leaf Powder, Butylene Glycol, Tocopherol, Ascorbyl Dipalmitate. Hope this little review gave you more information about this cleansing oil and I hope it inspires you to go out and try it because it truly is an amazing product!